"Do What's Right, Not What's Easiest"
Ian is the Managing Director of IL Security Shutters Ltd, he is solution focused and very much hands on carrying out site visits and working with the manufacture and installation team. He has installed thousands of roller shutters over the years, he has an acute eye for detail and knows what works and what doesn’t, often providing the client with a bespoke solution they hadn’t even considered. 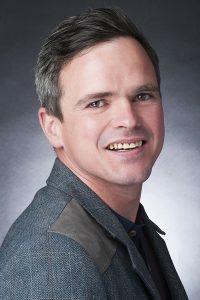 Prior to founding IL Security Shutters Ltd in 2007, Ian was employed by a local roller shutter company for 13 years. He started out as an apprentice engineer and progressed through the business to become an integral part of its team learning all aspects of measuring, design, manufacturing and installation. Emma is the Company Secretary at IL Security Shutters Ltd. She runs the office and general operations as well as maintaining relationships with existing clients and developing new ones. Her employment background is customer service and sales ranging from a major blue chip company to a financial provider and a bank. Inspired by the birth of their first child, Emma and Ian decided to combine their skills and ‘go it alone’ with the vision to create a company committed to outstanding levels of customer service providing the highest standard of products. 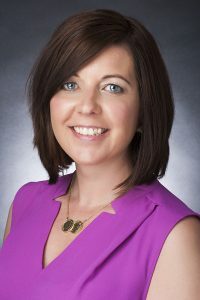 Emma’s interpersonal skills are a real asset to the business interacting with people in all sectors on a daily basis. At IL Security Shutters Ltd we value people and partnerships bringing a sense of ‘togetherness’ to the workplace and a caring attitude towards helping others. We pride ourselves on strong family values and integrity, standing by our motto “Do What’s Right, Not What’s Easiest”. Corporate Social Responsibility is at the core of what we do, inspiring and positively impacting people to help build a better society. Socially ... we invest into community initiatives and projects. 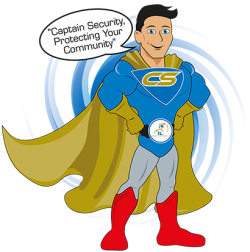 Our company mascot Captain Security is always busy, take a look at our community and news page. • Monday to Friday 9am – 5pm – Customers expect a fast turnaround from placing their order to installation, particularly in emergency situations, we are flexible and don’t work to the clock machine. • Computer say’s no – You speak directly to decision makers from our personable team who are always happy to help. • Make excuses – Our industry is difficult and sometimes things don’t go to plan. We are problem solvers taking ownership of projects on site, responding to the changing needs of our customers to ensure flawless project delivery. • Employ ‘jobsworths’ – how many times have you asked for something and been told “it’snot my job” ? We’ve built our reputation on being ‘Grafters’ going the extra mile when required. Our team is made up of people who compliment each other, share our values and ethos and have a ‘consider it done’ attitude exceeding customer expectations. • A doorstep guarantee – We are the only security shutter provider offering a Lifetime Guarantee giving you complete peace of mind and unrivalled product value.